this will be a photo dump of fabric I have gotten over the last little bit. Lets start with a trip the walmart 40 min from here that has fabric. Did you know that walmart has free patterns? I got these fabrics to go with the below pattern. just look at these cute veggies! In the "As Is" section I found this duvet cover and pillow case. I think this is a full. maybe. and a close up. I love this pattern- look at that! And now the mega load!! two friends and I went on a day tip to go fabric shopping. I had a babysitter for the day- We just had to be back by 2:30 for someone dentist appointment. We went first to a large store- Mary Jos in Gastonia. This is over an hour away and we wanted to be there for 9am meaning we had to leave home at 8! luckily my ride was able to bring my sitter over with her :) Thanks MC! This was followed by a quick stop at Hobby Lobby (bought nothing there), lunch at OCharleys and then half way home to the previously mentioned Walmart for more my priced fabric! Reminients on sale! and most were full yards and a bit! Panel from Mary Jos- Panels can be a life saver! I think this matches the nursery well. Maybe Zeke will get another quilt! I found the panel that I used for Ryan and Christine baby gift with matching fabric. Some Thomas fabric for Zeke who is getting into trains. I got 9! yards of fabric for the back of Daves moms quilt. The pinwheels and ivory piece are part of the quilt that I made too much of! I have decided that I like stripes for binding. I put this away and decided that I have too much fabric unorganized on my shelf. so after getting the current quilt off to the quilters and the backing done for daves mom and off to the quilters I am going to pull it all off the shelves and reorganize it. now to find a way to get it sorted out! Maybe I will even show you a picture! the traveling stash is going to be drawn FRIDAY! as in tomorrow. you have a good chance at it since there is only 12 comments! My friend Kendra made a Pillow Mattress that was featured on Ucreate yesterday. I had just bought pillows from Ikea to make it. I gave it a shot Yesterday and it was horrible!! ok- maybe it wasnt that bad but I didnt lay it out - I was just doing it from my mind. at night. Step 1 : Do NOT do what I did on yesterdays post! Step 5: Sew strips together. Make sure pillows will work out. Here I added a strip to make mine up to 60 inches. With all my mistakes yesterday I didnt have the correct amount of fabric. My layout with the longer side being the fold over. you can see Kendras blog in the back giving me the helping hand! you can see its face to face with the pocket piece back to back. Step 8: fold right side out. See the pocket is inside the envelope . Step 9: Sew down each section. I used a zig zag for stability and decoration. Step 10: Lay it out and Stuff it! I cant wait for Zeke to give this a try! My friend Kendra at Southern Disposition made a Pillow Mattress from 4 ikea pillows and a twin duvet cover. I thought I would do the same so when I was at Ikea yesterday I got the 4 pillows but I didnt know what size duvet she had so I thought I could do it with the fabric I had at home. One width of fabric didnt work folded over so I needed to come up with a different plan. I needed 28 inches (by a pure guess) x 42. I didnt have that so I grabbed 4 yards and cut them to 28 inches. SO- If you want to make one with these like this then you need to sew the short sides together - not the long sides! I followed Kendra's instructions on how to make the pocket and sewed up each pocket with a zig zag stitch. This made it VERY long. You could use this along a day bed type thing. Because the backs are long the pocket doesnt work well - I will need to get some velcro or something to make it stay shut. You all have been introduced to my hubby right? ok - now everyone is introduced let me tell you why I'm so excited! 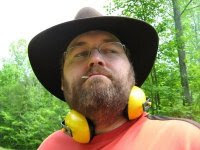 Dave (Only Googlebot Reads this Blog) is going to have an 8 week feature over at Cache Crazy. They will be featuring Dave's account from our 3 week road trip. Cache Crazy is a Geocaching website. Go check out his introduction and then all the other posts each weekend! Remember THAT quilt that I was having issues with? well i finally got the top done. I need to look for material for the backing and how to fit it together (length-ways or not). My mother in law asked for a pattern (that we picked out) just on the top and plain sides. the top needed to be 62x81. As you can see my ikea bed is not quite that big! of course some blocks are better than others and some points are much sharper... but Im happy it looks this good considering the trouble it was giving me earlier. Now who has a good sham pillow cover tutorial? My friend Kendra at Southern Disposition does so many crafty projects I can't even begin to list them all. She and her 4 year old daughter do so many that she has recently been mistaken as a SAHM. Here is here post talking about her work both in and out of the home and the projects she does with Sadie. She has inspired me to do something more than just giving Zeke crayons to try. I decided to go with the easiest thing (since he is only 21 months old) I could think of.... watercolour! First I took the canvas boards and painted them with water. Then I showed Zeke some tricks. I watched him on the first canvas- getting him to rinse his brush out etc. He is really good at painting. The paint "bled" because I had water on the page already. this is his first painting done. Painting #2 I let him just go at it after the first bit. I put colours on both sides of the sponge brush to give it neat look. Painting 2 is a bit more muddled. but thats his first one. I will be keeping that one and will repaint over the other one. Dont you just love the paint brush bristles? I used another paint brush that didnt come with the kit and Zeke was a bit rough with it. do you recognize the background music?